Nachfolgend eine Liste/link mit Ländern, deren Staatsbürger (unabhängig davon, ob sie für Deutschland eine Aufenthaltsgenehmigung haben) sich für ein Touristenvisum für Jamaica VOR der Abreise ‘prior to arrival’ bewerben müssen – Der Visaantrag kann NUR bei der Botschaft in Berlin erfolgen; Formulare unter www.Jamador.de ; Visaanträge bei dem Konsulat sind NICHT möglich ! My Jamaican brothers and sisters in the Diaspora, I greet you well. It is with a sense of honor and immense pride that I convey this message as Chief Servant of our beloved country, marking the 54th anniversary of our independence. The lowering of the Union Jack and the raising of the esteemed black green and gold bearing Jamaica flag as the clock struck midnight on August 5, 1962, ushering-in Independence Day on August 6 heralded the dawn of a new day for Jamaica and its people. Independence affirmed our sovereignty and bequeathed to us a launching pad for the creation of a more prosperous and justiciable society, where equality and respect for all would be guaranteed. As we mark this significant occasion each year we recall the epic struggles of our forebears and the tenacity of our founding fathers in their campaign for political independence. Each in their own way ignited the flames of freedom so we could emerge from colonial rule and truly pursue nationhood. To them we pay tribute. For to them, we are eternally indebted. As we reflect on the journey that culminated in our nation’s independence, let us recognize and embrace the role we are all called to play, whether at home or in the Diaspora, to make Jamaica as successful as she can be; enabling her many sons and daughters to pursue their aspirations and achieve their full potential. 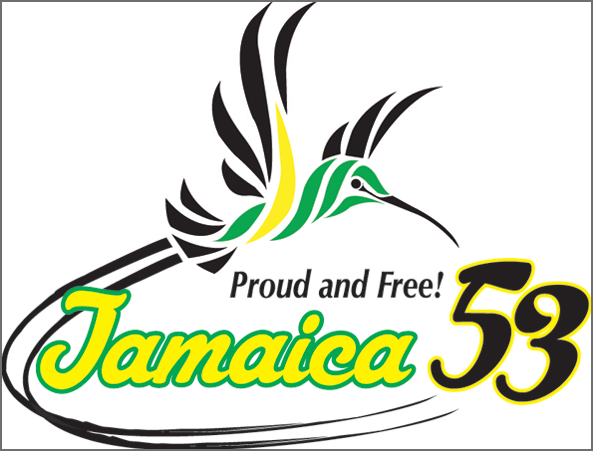 Independent Jamaica is now 54 years old. It means that we have been in command of our own affairs for over half a century.An important part of celebrating our Independence therefore, isreflecting on our stewardship of the resources and opportunities bequeathed to us. A prominent place has to be given in those reflections to the national decisions we have made as a country, and the consequences of those decisions. I have always maintained, we have accomplished much in 54 years as an independent state, but there is a shared view that we could have, and should have achieved so much more. The “Emanci-pendence” festivities must not distract us from our realities, or cause us to lose sight of the monumental work and sacrifices that still lie ahead of us. At the same time, we must not reflect for the sole purpose of engaging in blame. Indeed, this is a time for learning from our past experiences as a people, and recommitting as Jamaicans in the Diaspora, to playing a part in hastening the pace of Jamaica’s growth and developmentwhile avoiding the pitfalls of the past. 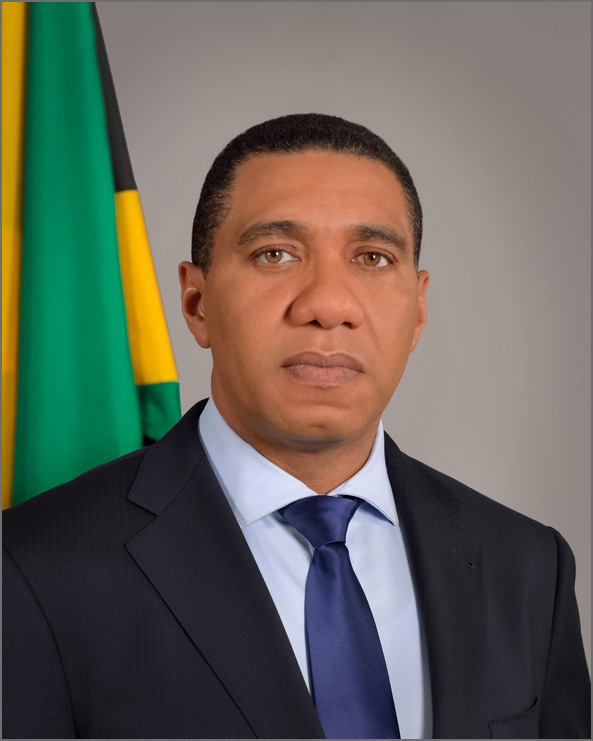 As we celebrate the 54th anniversary of Jamaica’s independence, I implore you as members of the Diaspora to renew and reaffirm your commitment to playing a part in addressing critical aspects of national life that remain issues of concern. I often express the view that Jamaicans domiciled in the Diaspora represent the commonwealth of Jamaica, and as such you must never cease focusing attention on matters pertinent to Jamaica’s development and the quality of life of its citizens. Yours must be a spirited and sustained campaign to mobilize the Diaspora and leverage the considerable influence and network of resources at your disposal to champion Jamaica’s cause and advance the development interests of our people. The management of our economy remains a critical area of focus. As you would appreciate, a lot of hard work has gone into implementing the structural reforms required under the existing 4-year Extended Fund Facility with the International Monetary Fund (IMF). My administration is unequivocally committed to fostering and maintaining macroeconomic stability, as well as sustained debt reduction. Importantly however, we are committed to exercising diligence and creativity in spurring growth, attracting investments, providing avenues for greater Diaspora participation, and creating jobs for our people. While our hands remain firmly on the wheel in ensuring successful completion of the existing IMF programme, collaboration with other key multilateral institutions is on in earnest, and talks have already begun as to the kind of relationship Jamaica will have with the IMF when the current programme ends in March 2017. The Government is fully cognizant that while considerable strides have been made in the implementation of economic reforms, Jamaica is by no means out of the woods. Let me encourage you to play a part as we recommit ourselves to improving the productivity and efficiency of our economy by ensuring that all our labour force is trained and certified and that businesses are able to retool and incorporate the latest technology into their production. As we continue our journey toward development and increased prosperity as a nation, it is imperative that we embrace the opportunities that lie before us and reach for the success we are capable of attaining. On the occasion of yet another celebration of our nation’s independence, I wish for you – our brothers and sisters abroad, a very happy and fulfilling Independence! Xaymaca, Land aus "Wald und Wasser" nannten die Taino ihre Heimat im Karibischen Meer, welche später im Jahre 1494 durch Christopher Columbus entdeckt wurde. In der Tat bietet die Insel Jamaika, die nach Kuba und Hispaniola die drittgrößte Insel in der Karibik ist (10.990 km², 236 km Länge, 82 km Breite) ein vielfältiges Naturschauspiel mit dicht begrünten Bergen (höchster Berg Blue Mountain Peak – 2256 m), sanften Hügeln, großen Flusstälern und blendend weißen Stränden. Ausgestattet mit allen Voraussetzungen eines karibischen Urlaubsparadieses hat Jamaika seit den 50er Jahren eine gehobene Tourismusindustrie aufgebaut und etabliert, die neben den Sektoren Diensleistung, Bergbau und Landwirtschaft wesentlich dazu beigetragen hat, dass sich das Land als Nation mit mittlerem Einkommen und als einer der wohlhabendsten Staaten des Karibikraumes, mit einem gut situierten Mittelstand, hat positionieren können. Unter dem Motto „Out of Many, One People“, welches die Vielfalt des ethnischen Ursprungs seiner Bevölkerung symbolisiert, erlangt die heutige Republik Jamaica in der Form einer parlamentarischen, konstitutionellen Demokratie am 06. August 1962 ihre Unabhängigkeit als Nation. Neben den ca. 3 Mio. Jamaikanern, die im Heimatland leben, hat das jamaikanische Volk eine „Ex-Patriat Community“ von weiteren ca. 2 Mio., wobei die größten Ex-Patriat Communities in den Städten New York, Toronto und London anzutreffen sind. Als englischsprachige Nation und aufgrund der Geschichte sind die jamaikanischen Beziehungen traditionell besonders eng mit Großbrittanien, wobei Jamaika Mitglied im Commonwealth of Nation ist und aufgrund wirtschaftlicher Beziehungen zu den USA. Jamaica ist weiterhin ein Mitglied im Staatenverbund der Caribbean Community (CARICOM) , welche 13 Länder der englischsprachigen Karibik, sowie Haiti und Surinam umfasst. Die Beziehungen zwischen der Bundesrepublik Deutschland und Jamaika werden neben politischen und Wirtschaftsbeziehungen im wesentlichen von jährlich ca. 20.000 Deutschen Jamaikaurlaubern belebt. Die in den 70er und 80er Jahren sehr intensive entwicklungspolitische Zusammenarbeit beider Länder ist ausgelaufen, da Jamaika – wie bereits erwähnt – gemessen am Pro-Kopf Einkommen als Land Mittleren Einkommens gilt. Im Bezug auf das Bruttosozialprodukt der Gesamtbevölkerung belegt Jamaika im GOP-Ranking der Welt Bank (2009) den 103. Rang von 185 Nationen – gleichauf mit Nationen wie Island, Albanien, Ghana oder Paraguay. Im Rahmen eines Empfangs für das Diplomatische und Konsularische Corps am 03.Juli 2010 im Auswärtigen Amt, hat Außenminister Guido Westerwelle das neue „Lateinamerika und Karibikkonzept der Bundesregierung“ vorgestellt. Diese bildet mit seinem Inhalt auch den Leitfaden für die Zusammenarbeit mit den CARICOM-Staaten, zu den Jamaika gehört. Den Schwerpunkt meiner konsularischen Mission bilden in Abstimmung mit dem jamaikanischen Außenminister und der jamaikanischen Botschafterin – neben der Betreuung und Erledigung der Belange der jamaikanischen Ex-Patriat Community in meinem Amtsbezirk Bayern und Baden Württemberg – die Förderung wirtschaftlicher Interessen, aber auch die Initiierung von Zusammenarbeit auf dem Gebiet der Verwaltung.